Last Friday was my birthday. To celebrate, my husband and I spent an extremely nonfrugal night at the Loews Philadelphia hotel. 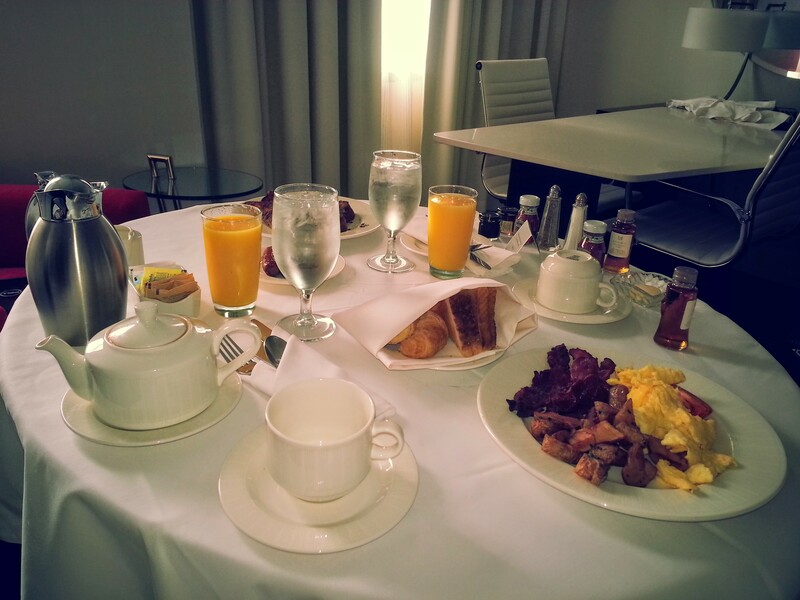 It probably wouldn’t have been so expensive if we didn’t love room service and the minibar so much. As my dad likes to say, “Nothing beats food,” and food-on-demand is the best. I will have to scrimp the rest of the month to make up for it, but it was worth it. 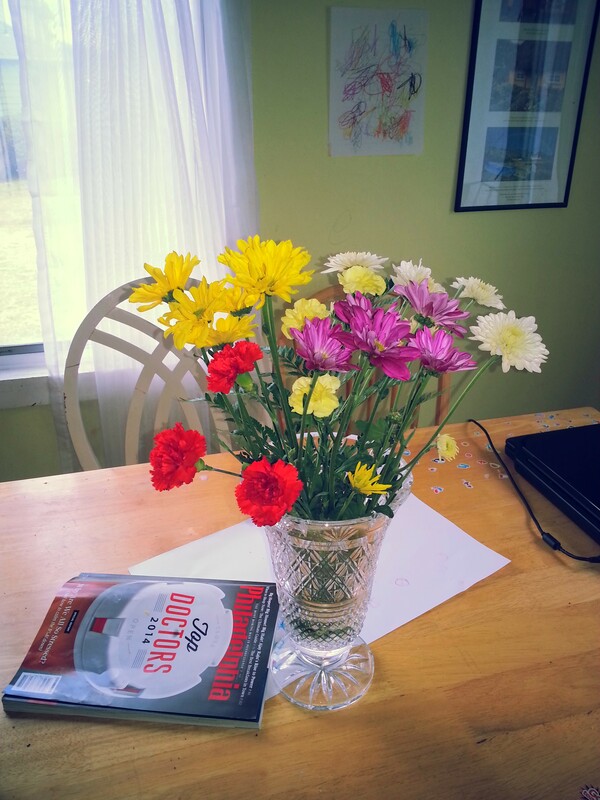 I also received lovely flowers from my brother-in-law, which I think spurred my husband to go get me some too, various picked flowers from my kids and their friends, and a homemade cake from my mom. All in all, a great birthday. 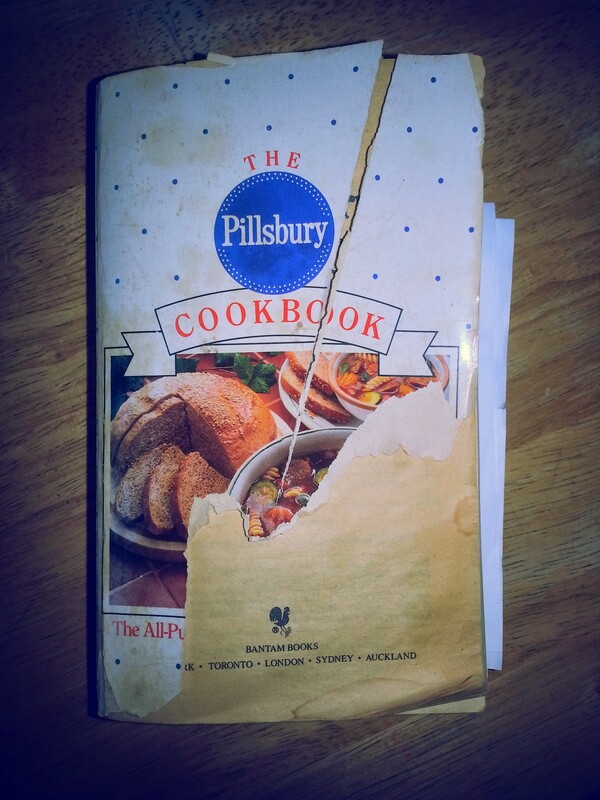 As you can see, I have used this cookbook a lot since my sister gave it to me when I got married! It’s a great all-around cookbook. It’s a little hokey; it has a lot of recipes that I thought were just jokes, like Turkey Tetrazzini. But lots of good comfort food, like the Chicken and Stuffing Casserole I made. Last night (Tuesday) I made mashed potatoes and pork chops. Again, I was feeling pretty good because I got a little more creative with the pork chop seasonings and they smelled great. They cooked up very nicely but my husband’s chop had a part that was a little pink. He was shooting me dirty looks as he microwaved it, but I was too tired and hungry to care at that point. It’s funny how if you overcook meat, everyone will be kind to you about it, but if you undercook it, a cloud of shame descends and everyone acts like you were intentionally trying to murder them. I witnessed this at my parents’ a few weeks back when my dad undercooked the meatballs at Sunday dinner. As soon as someone says, “This looks a little pink,” a hush fills the room while everyone decides whether to hustle to the microwave or just be lazy and risk E. coli, and the cook tries to defend himself but eventually trails off into space. Anyway. I also want to make brownies this week, maybe tomorrow. Going to use whole wheat flour and maybe hide some spinach in them a la Jessica Seinfeld. I’ve also been diligent about eating leftovers and trying to use up various foods before they go to waste. That hotel bill is definitely a strong motivator. 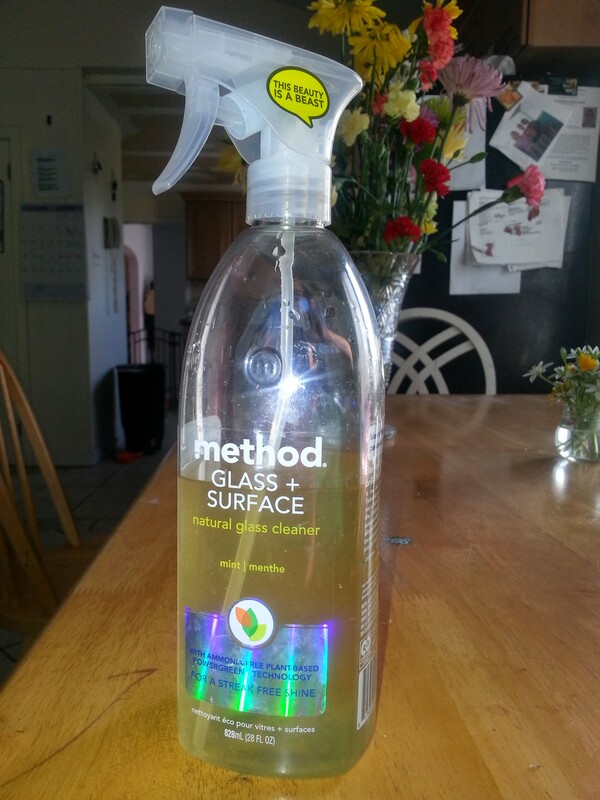 It smells good and works nicely on glass and counters, and in the bathroom. As the blog that I got the recipe from noted, it’s nice to be able to hand the bottle to a kid who wants to “help” clean and not worry about said kid ingesting chemicals. 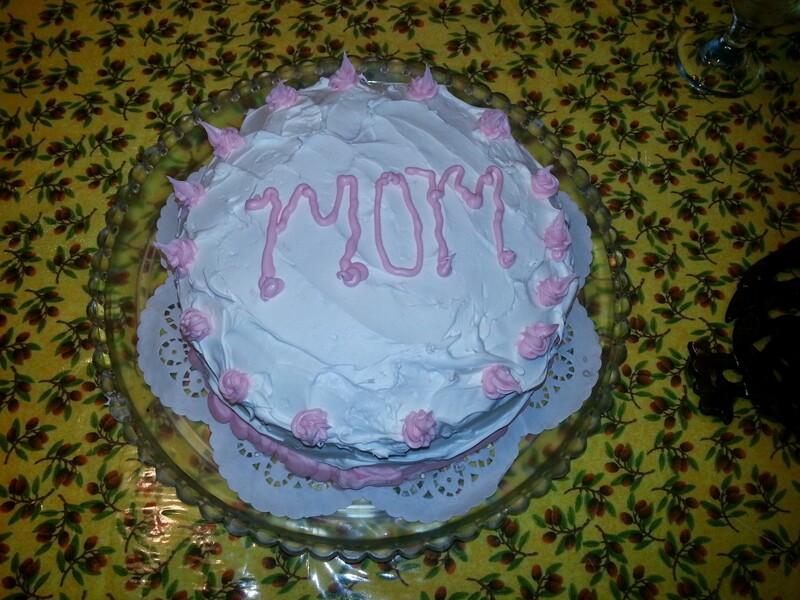 Next challenge: frugal Mother’s Day. In medium bowl, combine stuffing mix, broth and butter; place half in ungreased 8-inch (2-quart) square baking dish. In small bowl, combine chicken, onion, celery and mayo; spoon over stuffing layer. Top with remaining stuffing. 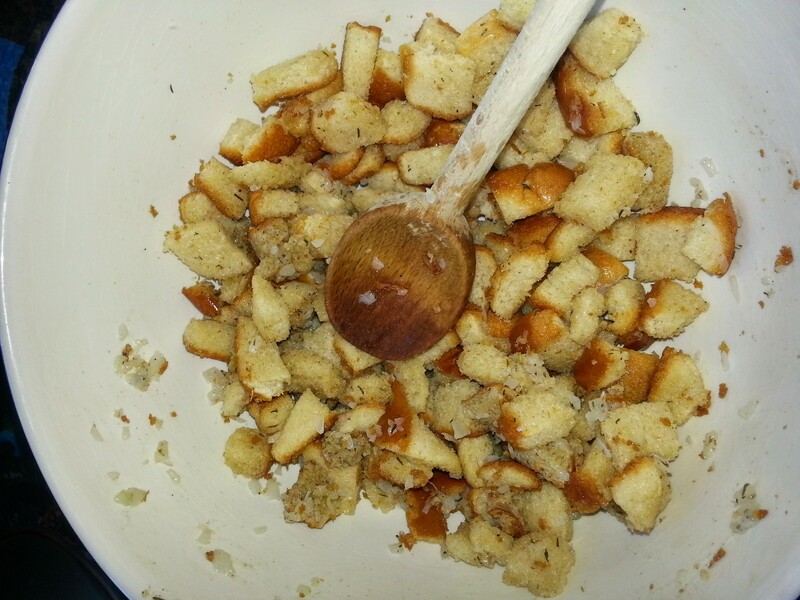 In same bowl, combine egg and milk; pour over stuffing. Cover; refrigerate at least 2 hours or up to 12 hours. Let stand at room temperature for 20 minutes before baking. Heat oven to 325 degrees. Spread the mushroom soup over the casserole. Bake for 30 min. Sprinkle with cheese; return to oven for 10 min or until cheese has melted. 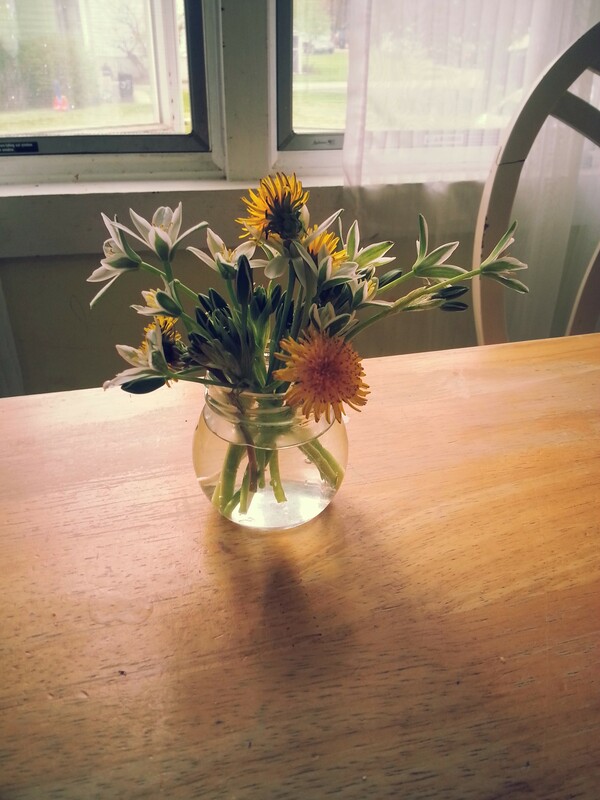 Cool slightly; cut into squares. ***The original recipe also explains a sauce that you make with the other half of the mushroom soup, but I never make it. I also never add the cheese or the celery, and I go easy on the onion in any recipe I make. My husband hates mushrooms, so if he is in the kitchen when I’m making it, I leave a can of cream of chicken soup on the counter to throw him off.